Here’s a challenge: how would you go about finding something if you didn’t know what it was you were looking for? No, this isn’t an ancient riddle or one of those horrible corporate team building exercises. It’s actually a very real problem being being faced by astronomers using our newest telescope, the Australian SKA Pathfinder (ASKAP). In order to understand how galaxies form and evolve, the Evolutionary Map of the Universe (EMU) team will take a census of radio sources in the sky. Along the way they expect to find about 70 million galaxies along the way – which is a substantial increase from the 2.5 million we currently know of. But to do so means trawling through, literally, a Universe of data. “With EMU significantly increasing the volume of phase space we’re observing, it’s more than likely we’re going to stumble across some unexpected new phenomena,” said the project’s Principal Investigator, Ray Norris. The EMU in the sky. Credit: Barnaby Norris. But with the supercomputer only sifting through data collected according to a specific selection criteria, there is a chance that these phenomena may fall through the cracks and lie undiscovered for decades, until an “open-minded researcher” suddenly recognises something odd in the data. The truth is out there, but how would the team find it? Well, we can tell you how: by developing a cloud computing platform that learns how to stumble across unexpected bits of science that would otherwise be ignored. The result is the Widefield ouTlier Finder (WTF), a project to develop data mining techniques that search for phenomena beyond the limits of current astronomical knowledge. Ray says there are three types of outliers they’re looking for. “First are the artefacts, which are important for our quality control, then there are the statistical outliers which are interesting, but the most important are the third kind of outliers – the entirely unexpected bits of science, the ones that make us stop and say – WTF?”. A colourful representation of the EMU sky coverage. The area in the top left is the part of the sky not covered by EMU. WTF’s cloud-based backend is hosted on Amazon Web Services servers, where the researchers are able to access software for data reduction, calibration and viewing right from their desktop. The team is currently issuing a challenge using data peppered with “EMU (Easter) Eggs” – objects that might pose a challenge to data mining algorithms. This way they hope to train the system to recognise things that systematically depart from known categories of astronomical objects, to help better prepare for unanticipated discoveries that would otherwise remain hidden. EMU has received a grant to develop a cloud computing platform for machine learning as part of the AstroCompute in the Cloud collaboration, driven by Amazon Web Services (AWS) and the SKA Telescope. The collaboration is intended to accelerate the development of innovative tools and techniques for processing, storing and analysing the global astronomy community’s vast amounts of astronomic data in the cloud. 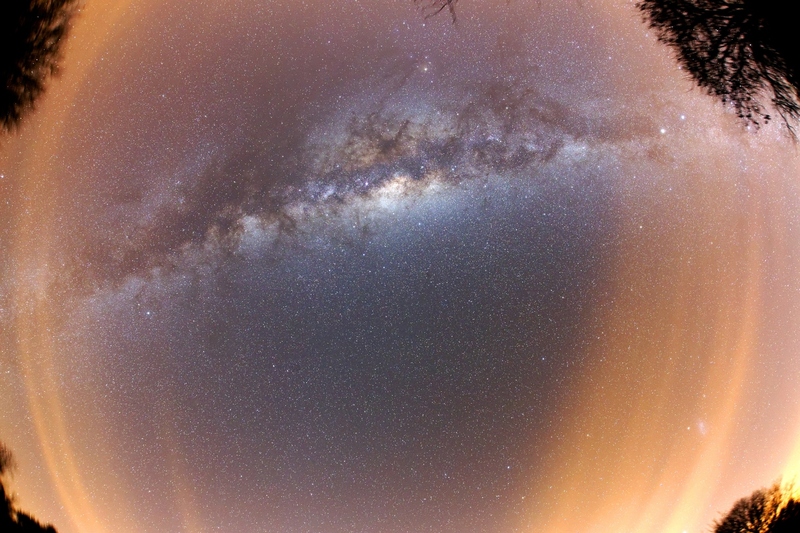 For more information about ASKAP, visit our website. From seeing the first ever up-close images of Pluto, to finding water on Mars, to Stephen Hawking teaming up with a Russian billionaire in the search for aliens, 2015 has been a huge year for space exploration. So as we celebrate World Space Week, it seems quite fitting that our minds cast back to another big year for space. In fact, the biggest of them all: 1969, the year Neil Armstrong and Buzz Aldrin became the first humans to set foot on the moon. But before you settle into your lounge, office chair or ergonomic workspace for our tale of space history, we have got some big news. To celebrate Buzz Aldrin’s upcoming visit to Australia next month, we’ve managed to get our hands on some front row tickets to see the famous astronaut in person. He will be captivating audiences in Sydney and Melbourne with a journey through space and time, from the historic walk on the moon to his vision for a future manned mission to Mars. We’ve got more details on how you can win at the bottom, but right now we’d like to take a trip down our own memory lane, as we recall our role in one of humanity’s most significant achievements. At 12.56 pm on 21 July 1969 Australian Eastern Standard Time (AEST), mankind took its ‘one giant leap’ and 600 million people watched as Neil Armstrong walked on the Moon. Our Parkes radio telescope, along with NASA’s antenna at Honeysuckle Creek near Canberra, played a key role in televising the first moon walk. Eight and a half minutes after those first historic images were broadcast around the world, the television signal being received by the larger 64-metre Parkes radio telescope was then selected by NASA to provide the images for the following two hours and 12 minutes of live broadcast as the Apollo 11 astronauts explored the Moon surface. While the Parkes telescope successfully received the signals, the occasion didn’t go without a hitch. The lunar module had landed at 6.17am AEST. Astronauts Neil Armstrong and Buzz Aldrin were supposed to rest before the Moonwalk, but Neil Armstrong was keen to get going. The astronauts were slow getting into their suits and when they got outside the Moon was rising over Parkes. Inside the Parkes telescope control room during the Apollo 11 mission. The telescope was fully tipped over, waiting for the Moon to rise, when a series of strong wind gusts – 110 km per hour – hit. They made the control room shudder, and slammed the telescope back against its zenith axis gears. Fortunately the wind slowed, and Buzz Aldrin activated the TV camera just as the Moon came into the telescope’s field-of-view. At this time, Honeysuckle Creek was taking the main signal. Eight minutes later the Moon was in the Parkes main detector’s field-of-view and NASA switched to Parkes. The weather was still bad, and the telescope operated well beyond its safety limits. The signals received by Parkes were sent to Sydney. From there the TV signal was split. One signal went to the Australian Broadcasting Commission, the other to Houston for the international telecast. The international signal had to travel halfway around the world from Sydney to Houston, adding a delay. So Australian audiences saw Neil Armstrong’s historic first step 0.3 seconds before the rest of the world. Hold the toilet roll in front of your face so that you’re looking down the cylinder. Position your camera / phone at the other end, so that your face is framed by the roll. And the more creative you can get, the better*. Hurry, entries close next Sunday 11 October. Terms and conditions below. Did I Win? :Winners will be chosen by CSIRO based on images uploaded to our social channels (Instagram, Twitter and Facebook) which include the hashtag: #MoonBuzz. Users should also indicate their city of choice (Sydney or Melbourne) in their post. The image adjudged to be the most interesting, unique or humorous (ie the best) will be declared the winner. The competition closes at 8pm on Sunday 11 October. Winners will be announced on the week commencing 19 October 2015 via Instagram,Twitter, Facebook, CSIRO NewsBlog. When and Where: Sydney: 27 November; Melbourne: 29 November. Visit www.liveonstageaustralia.com.au for more info. No, you’re not funny: Trust us, submitting a picture of you ‘mooning’ us will not get any laughs. We’ll just block and report you. *As much as we’d love to claim credit for coming up with this selfie idea, credit must go to fans of the Mighty Boosh. For more information on our astronomy work, visit our website. Dwarf galaxies are the most abundant galaxies in the universe. Yet understanding how these systems behave in galaxy group environments is still a mystery. These objects are notoriously difficult to study because they are very small relative to classic spiral galaxies. They also have low mass and a low surface brightness, which means that, to date, we have only studied the dwarf galaxies in the nearby universe, out to about 35 million light years away. My collaborators and I have been studying a dwarf galaxy named ESO 324-G024 and its connection to the northern radio lobe of a galaxy known as Centaurus A (Cen A). The giant radio lobes are comprised of high energy charged particles, mostly made up of protons and electrons, that are moving at extremely high speeds. The lobes were created from the relativistic jet (shown in the image at the top) that is blasting out of the central core of Cen A. These energetic particles glow at radio frequencies and can be seen as the fuzzy yellow lobes in the centre of the image (above), together with the neutral hydrogen intensity (HI) maps of its companion galaxies. The lobes now occupy a volume more than 1,000 times that of the host galaxy shown in the image at the top, assuming the lobes are as deep as they are wide. These HI intensity maps are part of a large HI survey of nearby galaxies called the Local Volume HI Survey (LVHIS). These maps have been magnified in size by a factor of 10 so that they can be seen on such a large scale and are coloured by their relative distances to the centre of Cen A. A green galaxy is at virtually the same distance from Earth as Cen A, while blue galaxies are in front of Cen A (closer to us) and red galaxies are behind it (farther away). One of the striking things about this image is that out of the 17 galaxies overlaid onto the Cen A field, 14 are dwarf galaxies. The one object that really interested me after making this image was the dwarf irregular galaxy ESO 324-G024 (just above the black box). It has a long HI gaseous tail that extends roughly 6,500 light years to the northeast of its main body and it is at nearly the same distance as Cen A. These two pieces of information right away made this a system worthy of investigation because we thought that perhaps there is a connection between this dwarf galaxy and the northern radio lobe of Cen A. Nothing like this has ever been seen before, probably because galaxies that have giant radio lobes like Cen A are usually hundreds of millions to billions of light years away. Cen A is a special galaxy because it’s only about 12 million light years from Earth. From observations using the Parkes Radio Telescope and the Australian Telescope Compact Array we were able to conclude that ESO 324-G024 must actually be behind the northern radio lobe of Cen A. This was an interesting result and it told us that the northern radio lobe must be inclined toward our line of sight, because ESO 324-G024 was at nearly the same distance as Cen A. This had previously been suggested by studying the jet way down in the core of the host galaxy, but it had never been confirmed in this way before. Next we investigated the mechanism responsible for creating the HI tail in ESO 324-G024. We looked at the likelihood of gravitational forces from the large, central host galaxy of Cen A as a potential culprit for ripping out ESO 324-G024’s gas. But we determined that it is simply too far away from the central gravitational potential for gravity to have created the tail. So we explored ram pressure stripping, which is thought to be a dominant force for removing gas in galaxies within these kinds of groups. Ram pressure is a force created when a galaxy moves through a dense medium, and thus experiences a wind in its “face”. It’s similar to holding a dandelion in your hand and then running as fast as you can go and watching the seeds blow away in the wind. At rest, the dandelion feels no wind and the seeds stay intact. But when you run, all of a sudden, the dandelion feels the wind created from your running and this wind blows away the seeds. In this scenario, ESO 324-G024 is the dandelion and you represent gravity carrying the galaxy through space. We calculated the wind speed required to blow the gas out of ESO 324-G024 and compared this speed to the speed of ESO 324-G024 moving through space. It turns out that the two speeds did not match. ESO 324-G024 seemed to be moving too slow for all of its gas to have been blown into its long tail. So we went back to our first conclusion about ESO 324-G024 being behind the radio lobe and surmised what may be happening. We know that the charged particles inside the northern radio lobe of Cen A are moving extremely fast. If ESO 324-G024 is just now coming into contact with the posterior outer edge of the radio lobe of Cen A, which is likely due to its proximity to Cen A, then it is possible that ESO 324-G024 is not only feeling the wind generated from its own motion through space, but also the wind from the charged particles in the radio lobe itself. This would be like you running with the dandelion and at the same time blowing on it. Therefore, we concluded that ESO 324-G024 is most likely experiencing ram pressure stripping of its gas as it passes close to the posterior edge of the northern radio lobe. This means that these types of radio lobes must have wreaked havoc on their dwarf galaxy companions in the distant past. This is an interesting case study that showcases how dwarf galaxies may have been knocked about, blasted, by their larger companion galaxies. Just how common are situations like this and how have they influenced dwarf galaxies over cosmic time? The answer is that we simply don’t know, but I look forward to exploring these questions. It’s wider than a blue whale is long, weighs as much as 25 Asian elephants and will soon be helping to unlock the secrets of the Universe. Say hello to our new dish: Deep Space Station 36. Fresh from showing the world the first close encounter images with Pluto last month, our Deep Space Communication Complex in Canberra welcomed the newest member of its dish family to the facility earlier today. The Canberra Complex is one of three Deep Space Network stations capable of providing two-way radio contact with robotic deep space missions. The complex’s sister stations are located in California and Spain. The new dish is part of a $120 million NASA investment at the site, adding to our four other antennae – though it will take another 12 months to completely fit out. The new dish being installed. “It’s a massive investment by NASA and shows the confidence they have in Australia and our ability to manage these operations,” Facility Director Dr Ed Kruzins said today. Earlier this year our Deep Space Complex celebrated its 50th birthday. Ed says NASA’s latest investment shows that Australia is here to stay when it comes to space communications. So what’s so special about Australia when it comes to staring into space? “Geographically, we’re uniquely placed to look at the southern part of the solar system, which is where many of the space missions are now headed. We’re now tracking 40 different space missions, mostly with NASA and some others with Japan and the European Space Agency, so we need this extra capacity to be able to monitor the skies 24/7, 365 days a year,” says Ed. As the first images from Pluto demonstrated, the Universe has a habit of surprising us. But the fascination doesn’t end with Pluto. From water on Mars to the possibility of life on the icy moons of Jupiter, you get a sense that we’re only beginning to understand our solar system – not to mention further afield. Wow. Speaking of Interstellar, how about that movie? If you’d like to find out more about our space research, gaze over here. It’s already an exciting time for Australia in the field of astronomy and space science. But we’ve just received an astronomical boost with the announcement of CSIRO’s role with the Breakthrough Prize Foundation’s (BPF) US$100 million dollar search for extraterrestrial intelligence, called Breakthrough Listen. CSIRO has signed a multi-million dollar agreement to use its 64 metre Parkes radio telescope in the quest to search for intelligent life elsewhere in the universe. Breakthrough Listen will be allocated a quarter of the science time available on the Parkes telescope from October 2016 for a period five years, on a full cost recovery basis. The Parkes observations will be part of a larger set of initiatives to search for life in the universe. The ET hunters will also use time on the Green Bank telescope in West Virginia, operated by the US National Radio Astronomy Observatory, and a telescope at the University of California’s Lick Observatory. CSIRO has the only capability for radio astronomy in the southern hemisphere that can deliver the scientific goals for the new initiative. The Parkes Radio Telescope is essential for the scientific integrity of the Search for Extraterrestrial Intelligence (SETI). It is ideally situated for a search such as this. The most interesting and richest parts of our own galaxy, the Milky Way, pass directly overhead. If we are going to detect intelligent life elsewhere, it is most likely going to be found in that part of the galaxy towards the centre of the Milky Way. The Parkes Radio Telescope is also one of the world’s premier big dishes and has outstanding ability to detect weak signals that a search like this requires. It has always been at the forefront of discovery, from receiving video footage of the first Moon walk on 20 July 1969 (which was dramatised in the movie The Dish), to tracking NASA’s Curiosity rover during its descent onto Mars in 2012, to now once again searching for intelligent life. It has also played a leading role in the detection and study of pulsars, small dense stars that can spin hundreds of times a second, the recent discovery of enigmatic (but boringly named) fast radio bursts, or FRBs, and in the search for gravitational waves. Parkes also played a leading role in previous SETI searches. In 1995 the California-based SETI Institute used the telescope for six months for its Project Phoenix search. The Parkes telescope provided the critical capability to search the southern sky that could not be accessed using telescopes in the northern hemisphere. The latest initiative is being led by a number of the world’s most eminent astrophysicists and astronomers. Professor Matthew Bailes, ARC Laureate Fellow at the Centre for Astrophysics and Supercomputing at Swinburne University of Technology in Melbourne, will be the Australian lead of the SETI observing team using the Parkes telescope. The program will nicely complement the existing scientific uses of the Parkes telescope. Although it will take up a quarter of Parkes time, it will benefit the research undertaken during the other three-quarters of the time the telescope is in operation. It will enable even greater scientific capability to be provided to a wide range of astronomy research through both the financial support and through the provision of new data processing and analysis systems and techniques. Incredible advances in computing technology make it possible for this new search to scan much greater swaths of the radio spectrum than has ever before been explored. Rather than trying to guess where on the radio dial astronomers might receive a signal, they can now search an entire region of the radio spectrum in a single observation. The dramatic increase in data processing capability has also meant that astronomers can analyse telescope data in new ways, searching for many different types of artificial signals. CSIRO is thrilled to be part of this global initiative which takes advantage of the significant advances that have been made in computation and signal processing since the search for extraterrestrial life began. The probability of detecting intelligent life is small but it is much greater today than ever before. To be the first to discover intelligent life would be a phenomenal achievement not only for the scientific community but for all humankind. Lewis Ball is Director, Astronomy and Space Science at CSIRO. Sunset at ‘The Dish’ Parkes Radio Telescope. From the moment mankind looked up at the sky we’ve been fascinated by the possibility that we might not be alone in the Universe. It’s been easy to let our imagination go into hyperdrive. We’ve fallen in love with ET, wanted to have Mr Spock over to a dinner party and dreamt of red cape shenanigans with Superman. Popular culture, and science fiction, have filled our minds with a breadth of extra-terrestrial characters because we want to believe there is more to this Universe than the humble limits of our Earth. After all, there are hundreds of billions of galaxies, some very small with only a few million stars, and others possibly having as many as 400 billion stars. Can we really be the only form of intelligent life out there? The quest to solve this cosmic mystery has just gotten more interesting… and exciting. Russian entrepreneur and venture capitalist, Yuri Milner and theoretical physicist and cosmologist, Stephen Hawking announced in London yesterday that the Breakthrough Prize Foundation will provide $100 million to dramatically accelerate the search for intelligent life in the Universe. Yuri Milner and Stephen Hawking at the press conference in London. This initiative will be the most powerful, comprehensive and intensive scientific search ever undertaken for signs of intelligent life beyond Earth. It will involve an unprecedented survey of the 1,000,000 closest stars to Earth and it will scan the center of our galaxy and the entire galactic plane. The program is being led by the world’s most eminent leaders’ in astrophysics and astronomy using three of the largest and most capable radio telescope’s in the world, CSIRO’s Parkes Radio Telescope, the Green Bank Telescope and Lick Observatory in the US. Watch the live press conference here. We have the only capability for radio astronomy in the southern hemisphere that can deliver the scientific goals for the new initiative. Our Parkes Radio Telescope has always been at the forefront of space discovery for decades. We received video footage of the first Moon walk back on this day back in 1969, and we helped track NASA’s Curiosity rover during its descent onto Mars in 2012. Actually, this isn’t the first time Parkes telescope has played a leading role in Searches for Extraterrestrial Intelligence (SETI). From February 1995 to March 2004, we were involved in the most ambitious SETI search conducted to date, called Project Phoenix. Even though it was successful in achieving many of its observing goals, there were no signs of ET detected. The Parkes telescope provides critical and unparalleled capability to search the southern sky, with its ideal location it is perfectly positioned to provide the best and most powerful view of our galactic plane. The planets have never been more aligned then they are today, making this endeavour possible – the availability of significant observing time on the world’s largest and most sensitive radio telescopes; significant developments in the field of astrobiology; and incredible advances in computing technology, making it possible to scan greater swaths of the radio spectrum than even before. Not only will the program deliver excellent science and contribute to world-leading astronomy, but it’s projects like this that will inspire scientists of the future in the pursuit of an answer to the fundamental question, ‘Are we alone?’. To read more about our work with the Breakthrough Prize Foundation, have a look at the FAQs page on our website. We’re playing a vital role in NASA’s New Horizons mission, the first ever attempt to visit Pluto. Learn more about this historic exploration, and our other astronomical feats, at #CSIROSpace. Talk about a long distance call. Some time tonight, around 9:57pm AEST, we’re expecting a world-first ‘phone call’ from the outer edges of the solar system. The team at our Canberra Deep Space Communications Centre (CDSCC) will be the first to hear from the New Horizons spacecraft as it completes its nine-and-half-year journey to the solar system’s most famous dwarf planet, Pluto. NASA and Johns Hopkins University Applied Physics Laboratory are the lead agencies on this multi-million dollar project, but our CDSCC facility will be integral in communicating with the far-flung vessel. Scientists have never before had an opportunity to study Pluto and its surrounding moons (Charon, Hydra, Nix, Styx and Kerebros) with such detail and precision. Even images from Hubble have shown us little more than blobs. Using an immense array of sensors and cameras, New Horizons will send us the most comprehensive images and data from the icy dwarf planet the world has ever seen. This information will not only shed new light on Pluto’s mysteries, but it will also help us better understand the origin and evolution of Earth and our planetary neighbours. Before New Horizons reaches its mission objective, let’s find out a little more about this spacecraft and the amazing science powering it to Pluto. A long time ago: New Horizons (NH) blasted off from Cape Canaveral in Florida on the 19th January 2006: the same year the X-Box 360 was released in Australia, the Beaconsfield mine disaster hit the headlines and Peter Brock and Steve Irwin passed away. A powerful name: The probe is powered by a single radioisotope thermoelectric generator (RTG), which transforms the heat from the natural radioactive decay of plutonium dioxide into electricity. Can you guess which dwarf planet plutonium-238 is named after? An interplanetary pit stop: NH made a quick detour to Jupiter in 2007. During this interplanetary layover, the probe used the opportunity to test some of its scientific instruments, before using the gas giant’s gravity to give it a 14,000km/h slingshot towards Pluto. Short but sweet: It’s only going to be in range of Pluto for 5 hours, capturing immense amounts of data, before it starts a new mission. After Pluto, NH will venture on to the mysterious Kuiper belt. A close-ish encounter: NH will duck between Pluto and its neighbouring moon, Charon, before it skims approximately 12,500 kilometres above Pluto’s surface, unleashing its suite of scientific observations. Me first: Our CDSCC will be one of the first places on Earth to receive the data from New Horizons, in binary form (a massive cache of 1s and 0s)… which is great if you can read the Matrix. Whispers from space: By the time it reaches Earth, the radio signals from New Horizons are 20 billion times weaker than the power of a watch battery. These are the signals captured and processed by CDSCC’s giant antenna dishes before being sent to waiting mission scientists. Six of the best: Alice, LORRI, Ralph, PEPSSI, SWAP and Rex. No, it’s not the next team of contestants on The Voice – these are the names of the six scientific instruments mounted to New Horizons. The instruments are equipped to collect a vast array of information, and include imaging spectrometers, particle detection instruments and a passive radiometer. Students riding shot-gun: There is also a plus-one tagging along: a dust particle counter created by a group of students from the University of Colorado, which puts pretty much every other student group student project in the history of the world to shame. Remember to check out #CSIROSpace for the latest updates!